– NASA researchers have a lot of problems to work through if they want astronauts to one day set foot on Mars. – NASA releases ‘ice home’ concept for living on MarsPostedNASA has unveiled its concept for houses on Mars and according to the space agency’s researchers, the best building material for these structures is rather unexpected — ice. 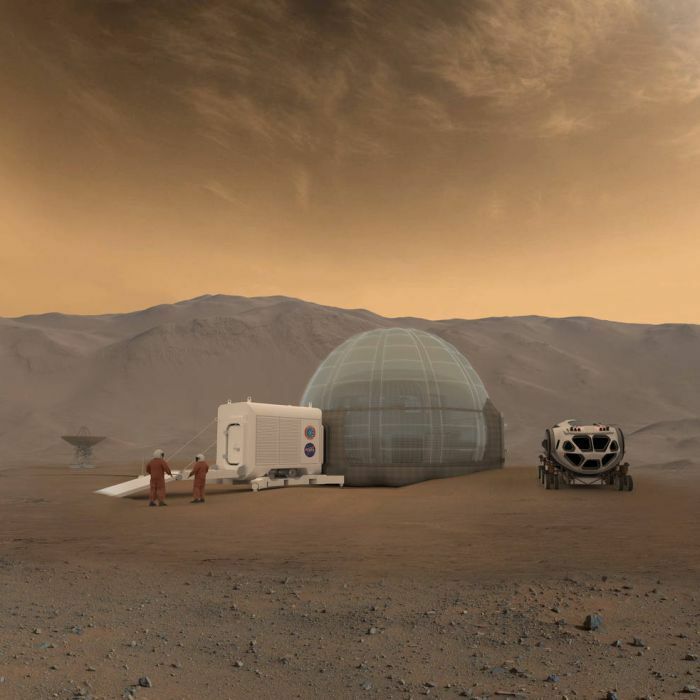 – An artists rendition of the ice home in Mars (Source: NASA) An artists rendition of the ice home in Mars (Source: NASA)To protect astronauts from the harsh Martian environment, the best building material for a new home on the Red Planet may lie in ice, say NASA researchers.